Before trying Ciao Bella I had never had sorbetto or gelato before. I had sherbet and regular ice cream and thought that was pretty much all there was to it. Well boy was I wrong. I had no idea there was something out there with the unique flavors sorbetto and gelato could offer. Yes the do come in basic flavors like ice cream, but even those have a very unique taste to them. We had the opportunity to try vanilla gelato and coconut sorbetto and loved them both. Now my kids keep asking me to pick up more so they can have some as a treat after school. We are having super hot temperatures right now and when they get to our house from the bus both of them are hot and sweaty and just want something to cool them off. These are perfect because they come in a small container and the kids can each have half a container for a treat. I like them because they don't take up much space in my fridge and they offer unique flavors that are a real treat! 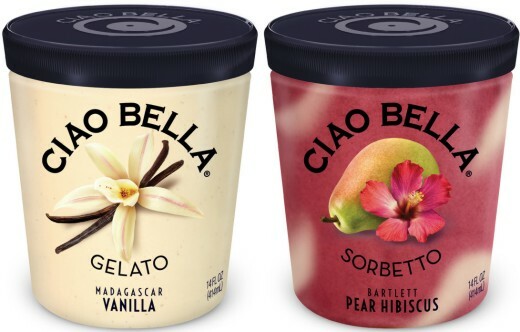 Ciao Bella is a premium sorbetto and gelato brand that creates unique flavors unlike any frozen treat you’ve tried before. Ciao Bella is perfect for a refreshing and indulgent after school snack. You can check out all the flavors here. Buy it: Check out the online store locator to see what stores carry Ciao Bella near you. Connect with the brand: You can connect with Ciao Bella on their website. I want to try these both out and it has been hot where I am too. This would be a great dessert for a birthday or just hanging out! I can't tell you how good the flavor on the right looks right now!